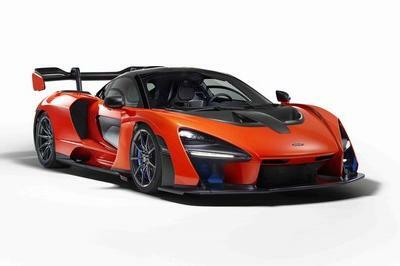 The McLaren Senna GTR is the track-only variant of the radical Senna supercar. 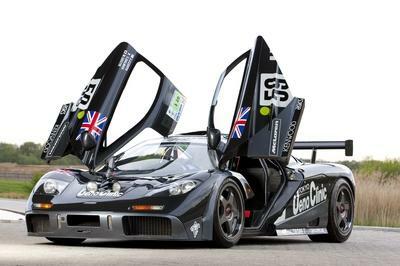 Named after famed F1 driver Ayrton Senna, the supercar also pays tribute to the iconic F1 GTR in race-spec trim. Previewed by the Senna GTR Concept at the 2018 Geneva Motor Show, the track-bound supercar broke cover in production form only 12 months later. 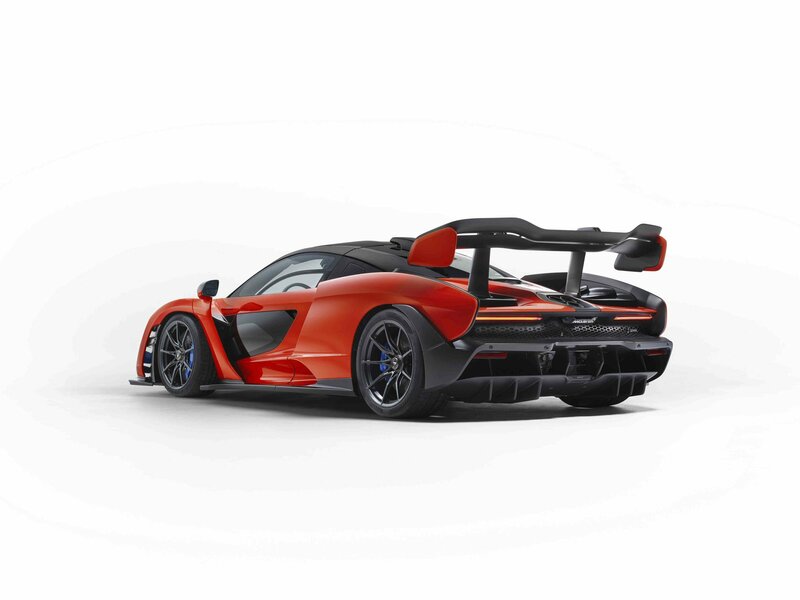 A no-compromise machine that ditches the limitations of a road-legal car, the Senna GTR is described as a vehicle that’s “able to lap circuits faster than any McLaren outside Formula 1.” It takes the already light, powerful, and track-focused Senna to new heights with extra power, a lighter curb weight, incredible aerodynamic downforce, and knowledge from McLaren’s GT3 racing program. 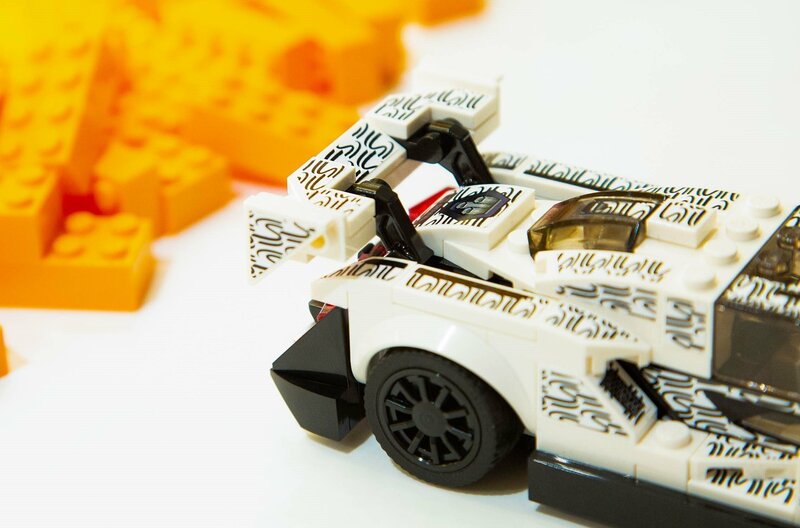 As usual, it’s highly exclusive, and the few cars that will leave the production line are already sold out. Let’s find out more about it below. 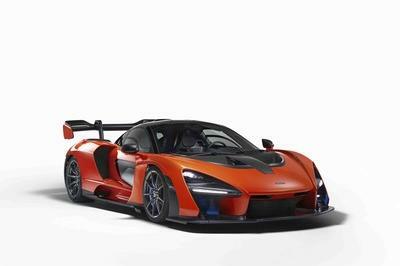 It’s been only 12 months since McLaren unveiled the Senna GTR Concept, and the production version is finally here. 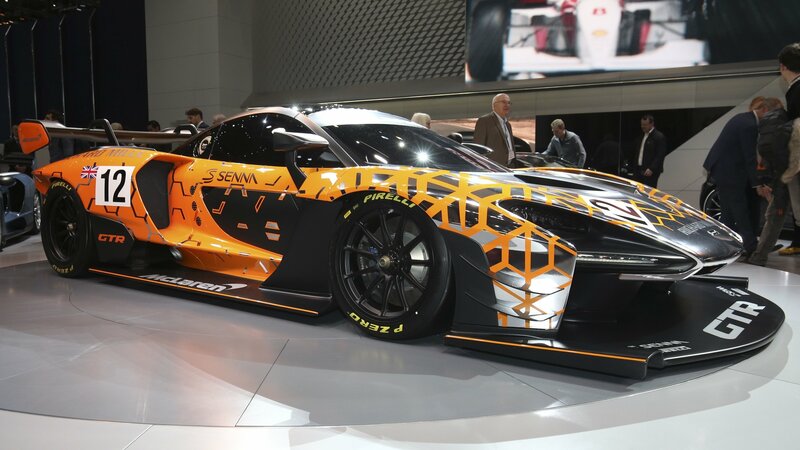 As a significantly modified version of the concept, the Senna GTR takes the already extreme and barely road-legal Senna and turns it into a full-fledged race car. Only 75 will be produced, and you’ll probably never get your hands on one. 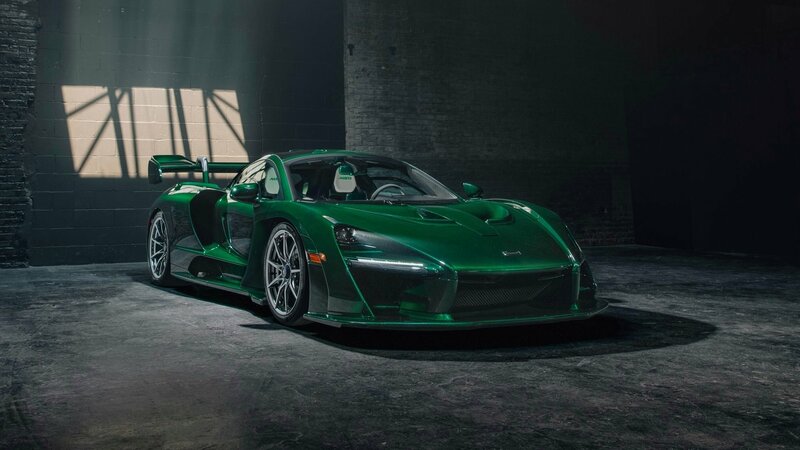 Shortly after the radical McLaren Senna came out, the British firm confirmed that a GTR version is underway. We’ve already seen the car in the form of a production-ready concept, so its design is far from a mystery, but a bunch of spy shots we just received from our paparazzi hint that an official unveiling will take place soon. McLaren’s on an absolute monster roll. 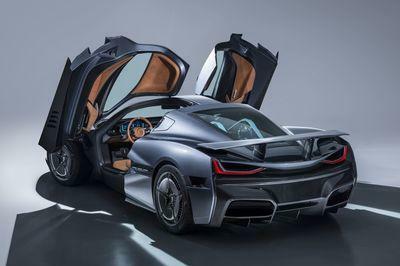 The British manufacturer barely let the dust rest on the newly-unveiled Speedtail and now they’ve released the first tidbits of information about the production version of the ludicrous Senna GTR, the track-only iteration of the already mind-boggling McLaren Senna. We’ve just gotten over the rush caused by McLaren’s new 3-seater Speedtail model. Just as we’re rounding out talking about every inch of the Speedtail, McLaren kindly offers us more. Wait, what? 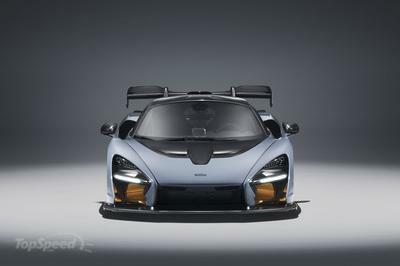 Well, McLaren released today the first details on the McLaren Senna GTR which was first previewed via a flashy prototype at this year’s Geneva Auto Show. 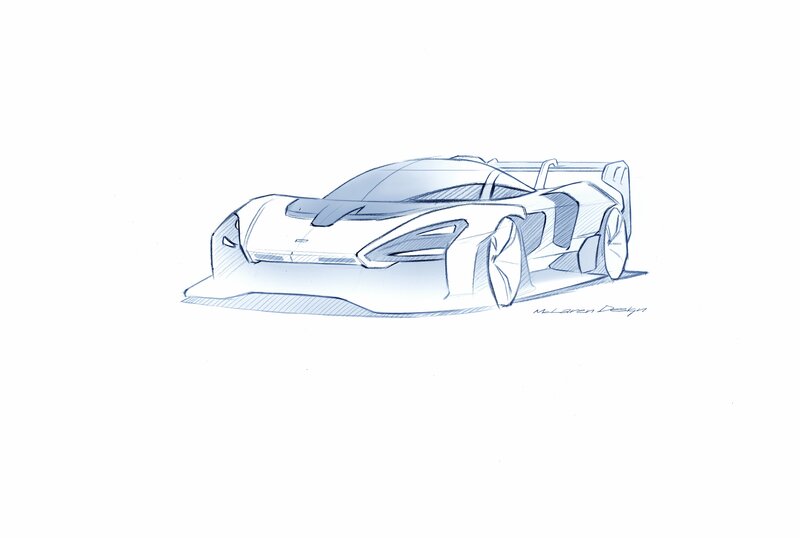 That’s right, we now know a bit more about the car which will, as we can guess from a sketch you’re looking at, be slightly different to the Senna GTR concept. I’ll explain why that is down below so you should keep on reading if you want to find out what the GTR’s numbers are as well. Unveiled more than six months ago, the radical McLaren Senna is finally meeting its first customers. The British firm just shipped its first U.S.-spec example, which landed with Michael Fux, an entrepreneur, philanthropist and renowned car collector from New York City. An owner of three other McLaren sports cars, Fux ordered a heavily customized Senna that sports a bespoke color that bears his own name. Pretty fancy, huh? McLaren’s decision to use the “Senna” name on its latest supercar didn’t come without any curious reactions. The British automaker had adopted a simple alphanumeric naming strategy for its models, so it was surprising for the automaker to not only change that strategy but to use the name of arguably the greatest race car driver in history on its latest supercar creation. Why exactly did McLaren do it beyond the obvious reason that it wanted to pay tribute to the man who won three world championships for the team? The answer, according to McLaren, is in the details. The McLaren Senna GTR is a shining example of what happens when a company attains the pinnacle of automotive engineering. To say that it’s one of the most impressive track-only vehicles in the world is an understatement. Apparently, people have been so impressed with the Senna GTR that over 150 of them have expressed interest in paying the £1 million price ($1.4 million) for the track-day speedster. Unfortunately, McLaren only plans to build half of that total, and as expected, all 75 units of the Senna GTR are now accounted for. 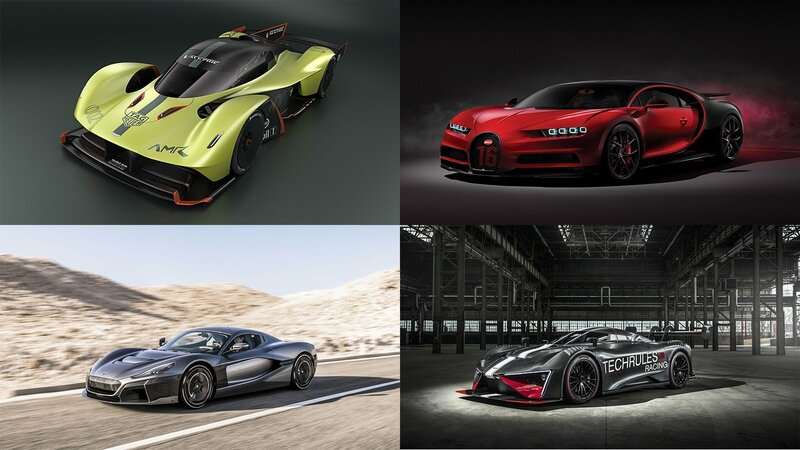 If you ever need a reminder that yes, we are indeed living in a golden age of performance automobiles, just check out the list of debuts heading to this year’s Geneva International Motor Show. Specs and figures that would have been considered outlandish and silly just a few decades ago are now becoming the norm, as million-dollar, 1,000+ horsepower monster machines seem to litter the Palexpo convention center floor in 2018. Here are some of the highlights. Starting things off is this otherworldly creation from the folks over at Aston Martin. 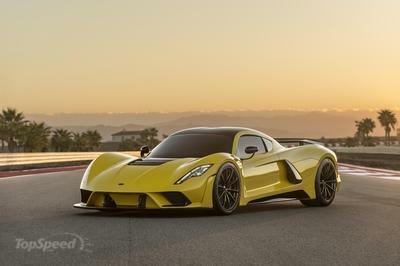 Dubbed the Valkyrie AMR Pro, it’s a track-only version of Aston’s already outrageous, barely street-legal supercar, and it twists the knob to 11 before breaking it off entirely. This track-only version once again takes its inspiration from the endurance racers that compete in the 24 Hours of Le Mans, as well as the ground-bound spaceships of Formula 1, rocking aero that looks like it was developed in the future, plus a lightweight, stripped-down attitude that tips the scales at just over 1,000 kg (2,204 pounds). 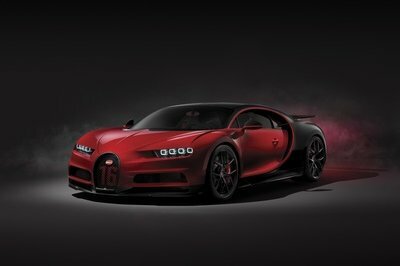 It’s also got a hybrid 6.5-liter V-12 with over 1,100 horsepower, improving on that coveted one-to-one power ratio. 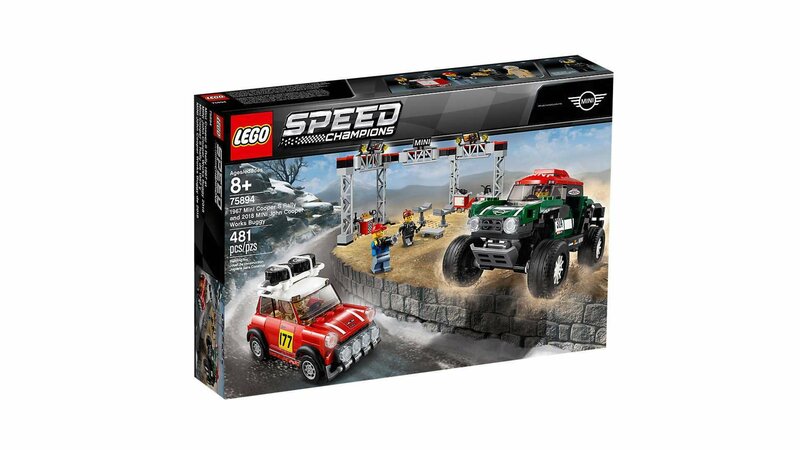 Expect a 0-to-60 mph time under 2.5 seconds, as well as a huge amount of downforce to keep it glued to the track. Read our full review of the 2018 Aston Martin Valkyrie AMR Pro. 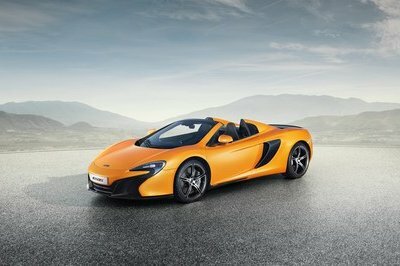 Not to be outdone, McLaren was also in Geneva with its own track-focused supercar this year. 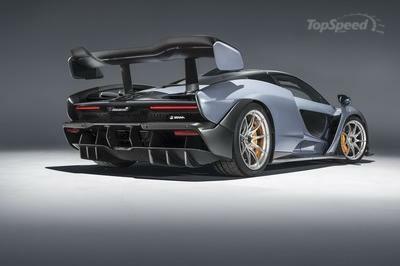 It’s called the Senna GTR, one-upping the immensely impressive P1-successor that was revealed last December. Upgrades include more power, and while the Senna GTR might not break the 1,000-horsepower mark (Aston says it’ll still make “at least” 814 ponies), the 1,000 kg (2,205 pounds) of downforce the bodywork can create should cement its position as an absolute terror on any racing circuit. Read our full review of the 2019 McLaren Senna. This one is actually street legal, believe it or not. Slotting just below the track-only TSR, the TSR-S (“S” stands for street) offers all the go-fast stuff as its apex-hunting big brother, but in a package you can still take to the mall (legally, at least). Carbon fiber everything and a barebones interior spec underline its sporting intentions, while a trick active rear wing adds even more rear-end stick thanks to a centripetal left-to-right tilt. Making it go is a twin-supercharged V-8 making upwards of 1,177 horsepower, enabling a 0-to-62 mph run in 2.8 seconds. Top speed is electronically limited at 202 mph. You could make the argument that Bugatti is responsible for sparking the modern age of performance excess that we all currently enjoy. You see, back in the early 2000’s, Bug unveiled the Veyron, a quad-turbo 8.0-liter W-16 ocean-of-go making around 1,000 horsepower. 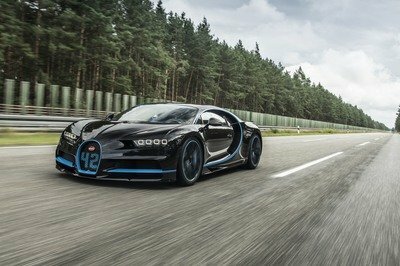 The Veyron completely reset the supercar playing field, and now, the French automaker is once again probing the limits of what’s possible on four wheels with the Chiron Sport. Output is rated at 1,500 horsepower and 1,180 pound-feet of torque, the same as the standard Chiron, but the Sport version makes better use of it thanks to improvements to the steering, dampers, and AWD torque vectoring system. The Sport also cuts out around 40 pounds of excess weight. All of this goodness can be had for a cool $3.3 million. Read even more about the 2019 Bugatti Chiron Sport! Now we’re really cooking with gas, or should I say, diesel. The racer you see here is called the Ren RS, and it’s a track-only variant of the cutting-edge Ren street machine released in 2017. This time around, the brains behind its creation stripped it down and beefed it up, prepping it for duty at the circuit with new, more efficient carbon bodywork. It’s also got a diesel micro-turbine powerplant and six electric motors laying out a combined 1,287 horsepower and 1,725 pound-feet of torque. Read up on all of the finer details of the 2018 Techrules Ren RS. While the Bugatti Chiron Sport represents the ultimate evolution of performance technology from the past, the Rimac C Two represents where we’re headed and the performance of the future. Offered as a follow-up to the incredible Concept One, the C Two is all-electric speed incarnate. The numbers on this things beg belief – 1,914 horsepower and 1,686 pound-feet of torque, all of which is routed to the ground via four electric motors and four independent gearboxes. Put your foot down, and you’ll find 60 mph in a scant 1.85 seconds. Keep it pinned to the carpet, and you’ll reach a top speed of 258 mph. And don’t stress too much about range either, because the onboard 120-kWh battery pack can provide enough juice to propel you over 400 miles between plug-ins. When it comes to electron-powered performance innovation (and indeed, performance in general), the C Two is the tip of the spear. Read our full review on the 2018 Rimac C Two. McLaren is adopting a name switch with its Ultimate Series models. 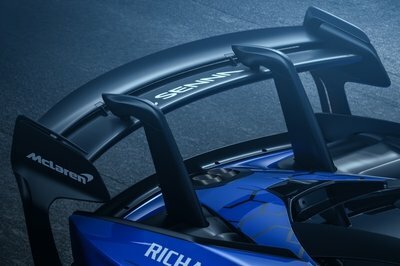 Beginning with the Senna supercar, all future McLaren models under the Ultimate Series line will be given actual names. This new naming strategy will be strictly limited to this line, though, as future models under the Sports and Super Series banners will continue to be named alphanumerically. The McLaren Senna got the ball rolling. What was previously thought to be an isolated occurrence brought about by McLaren’s decision to pay homage to the legendary racer has evolved into a full-blown decision that will affect all future Ultimate Series models. The decision to give proper names to all future Ultimate Series models opens the door to a lot of possibilities. McLaren could keep drawing inspiration from some of its most famous F1 drivers. If that’s the case, we could be headed for a future wherein cars like the McLaren Hakkinen, McLaren Prost, and McLaren Hunt. 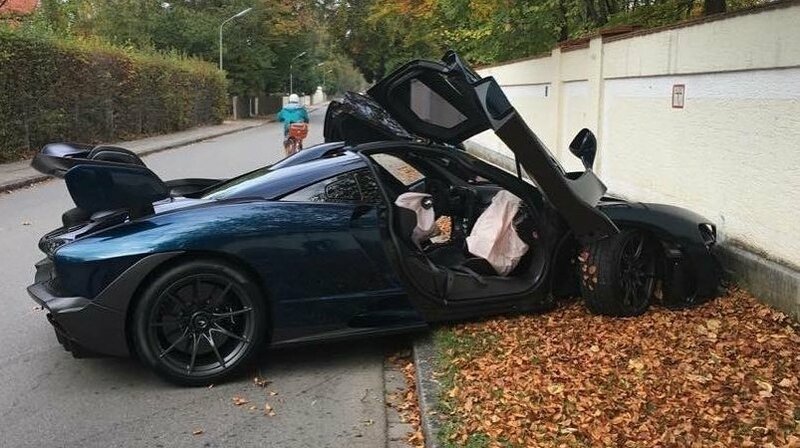 Who knows, there might even be a McLaren Hamilton down the road. All those names are speculation at this point. Some might not even come to pass given the relationships some of those former F1 drivers have with the company. But if there’s one driver who I’m confident is going to get the same treatment as Senna, it has to be the Flying Finn, who won two world titles with the British team. For now, the Senna still commands top billing. It’s McLaren’s ultimate road-legal car. It not only weighs 2,641 pounds, but it also features a 4.0-liter, twin-turbo, V-8 that produces a staggering 789 horsepower and 590 pound-feet of torque. The Senna is so fast that it can cover 0 to 60 mph in just 2.7 seconds. That’s 0.1 seconds faster than the McLaren P1. 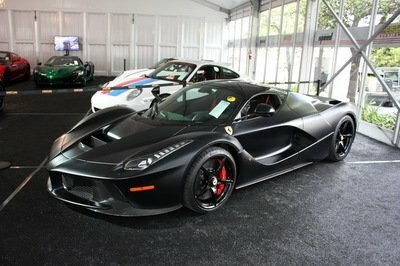 It also takes just 6.8 seconds for the hypercar to hit 124 mph, and 9.9 seconds for it to cover a quarter-mile. If for nothing else, the Senna is a fitting tribute to the three-time F1 world champion who won all three of his titles with McLaren. All that said, who’s pumped up to see the McLaren Hakkinen? Make it happen, McLaren. Launched in late 2017 as a successor to the P1, the McLaren Senna is the company’s most radical road-legal car yet. 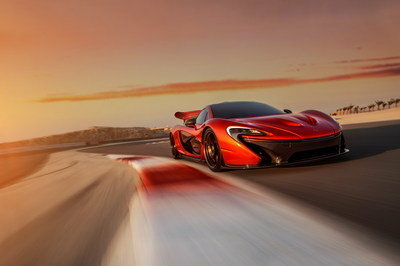 Not just superior to the P1 in almost every department, it’s one of the quickest supercars on the race track. At least that’s what McLaren claims. 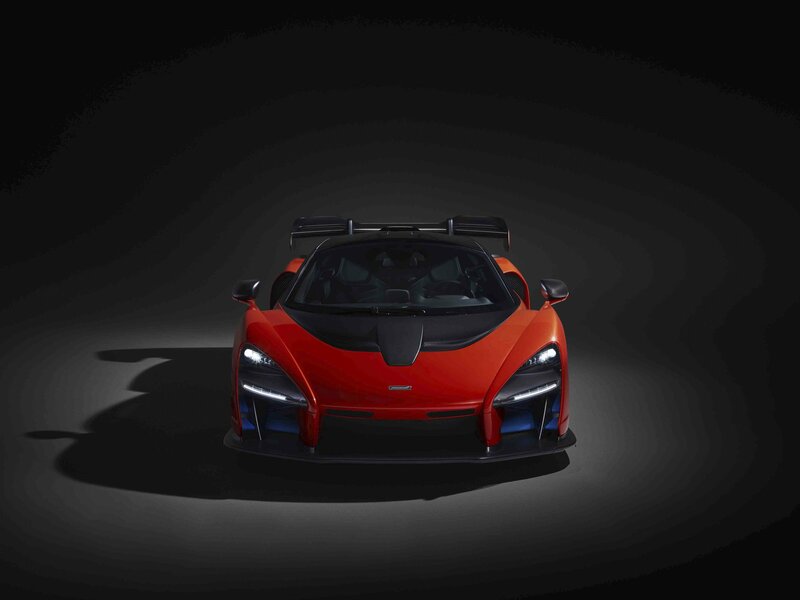 There’s no proof of the Senna skill at the track, but all the specs, performance figures, and the extreme aerodynamics seem to point in that direction. 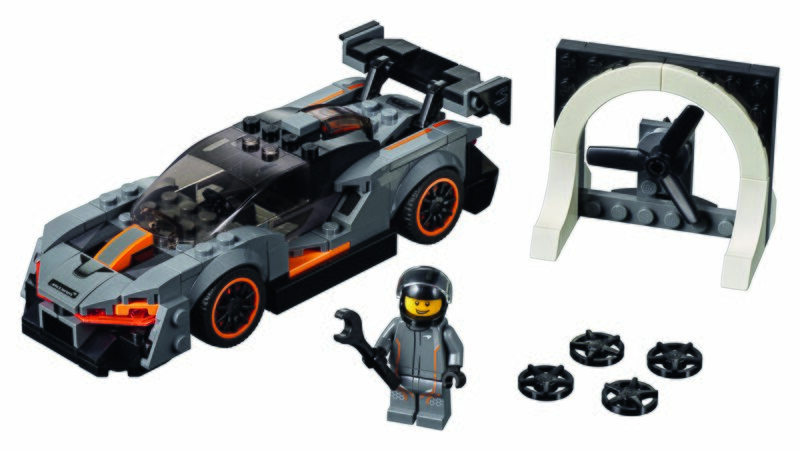 And McLaren wants to take things up yet another notch in the near future with a racing version. 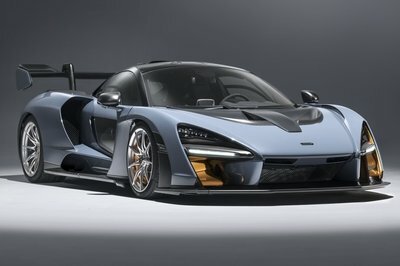 Although it has yet to confirm it, the British firm is most likely developing a GTR version of the Senna. It will be here once production of the regular model, limited to 500 units, comes to an end, so it will probably take until late 2019 for that to happen. Much like the P1 GTR, the Senna GTR will be a race-spec model of existing Senna clients and part of the company’s customer program with racing events around the world. 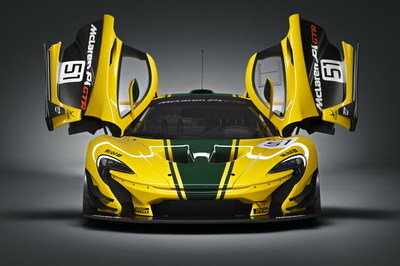 But while the P1 program was halted after the GTR, the Senna will become a full-blown race car for FIA events. At least that’s the plan. Taking a supercar like the Senna racing is a bit of an issue right now, as most series under the FIA banner do not allow such vehicles to the track. But this could change in the future. Recent rumors suggest that the Automobile Club de l’Ouest (ACO), which organizes the 24 Hours of Le Mans, is planning to revert technical rules for the top class back to road-legal supercars following the demise of the LMP1 category for hybrids. This could open up the opportunity for McLaren to field a prototype-spec Senna at the iconic event. McLaren Automotive chief executive Mike Flewitt told Autocar. 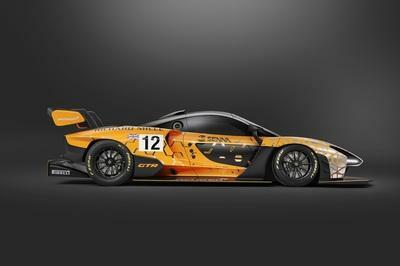 A race-spec Senna would have big shoes to fill, as it will become the spiritual successor of the Le Mans-winning F1 GTR. The innovative F1 hit the race track in 1995, winning the 24 Hours of Le Mans in its first season. What’s more, four of the top five cars at the finish line were F1s. The GTR remained competitive in the series until 1998, getting a major upgrade in the Longtail spec. It continued to race internationally with noticeable success until 2005. In all, it won 39 races and scored 64 podiums, plus three constructors’ championships in the BPR Global GT Series and the FIA GT Championship. Granted, it remains to be seen whether the race-spec Senna will become reality or if it will be able to win at Le Mans, but McLaren will surely put up a good fight. And no matter the result, it will probably remain one of the most radical race cars based on a road-going model. Read our full review on the 2016 McLaren P1 GTR. 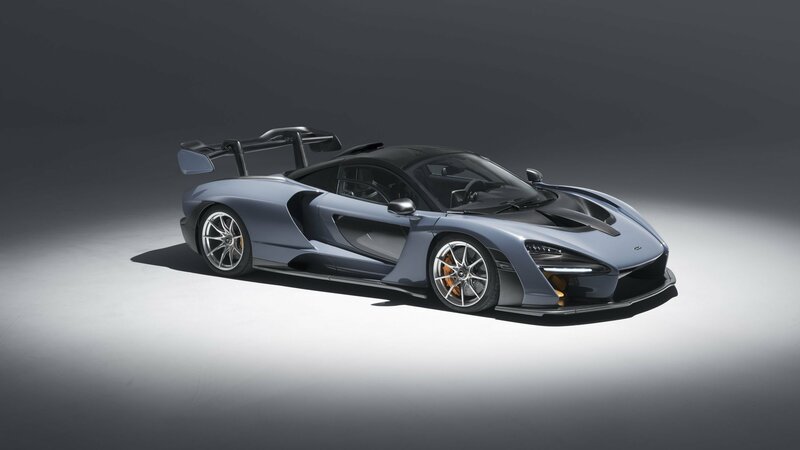 When it unveiled the Senna back in December 2017, McLaren omitted some of the supercar’s performance facts. 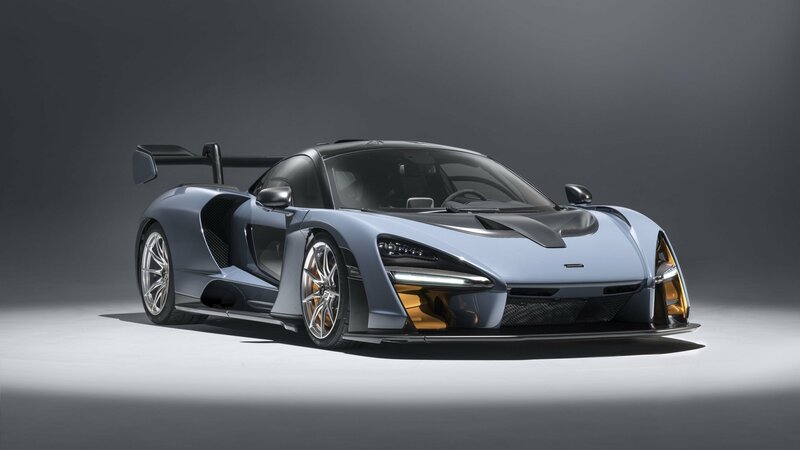 Needless to say, the Senna was downright spectacular even without those figures to run by, but McLaren just released a batch of new information that proves this supercar is as quick as it looks. While many argue that the Senna isn’t exactly pretty design-wise, its controversial appearance is a modern embodiment of the “form follows function” concept. Radical aerodynamics rarely go hand in hand with appealing styling cues and McLaren decided to completely sacrifice the latter for the sake of performance. It might be ugly, but that carbon-fiber shell helps it generate a whopping 800 kg (almost 1,764 pounds) of downforce at 155 mph. That’s 200 kg (441 pounds) more than the McLaren P1 at the same speed. But what about acceleration? 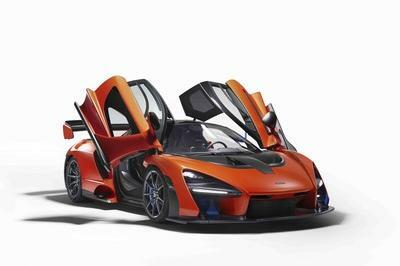 The Senna needs 2.7 seconds to hit 60 mph from a standing start, a tenth-second quicker than the P1. The sprint to 124 mph takes 6.8 clicks, a full second quicker than the awesome 720S. The quarter-mile time is equally impressive at 9.9 seconds, while stopping from 124 mph takes only 100 meters (328 feet). Top speed is rated at “only” 211 mph, six mph below the P1, but that’s a small sacrifice given the Senna’s outstanding cornering abilities. According to McLaren, the Senna is unstoppable at the track when used in race mode. 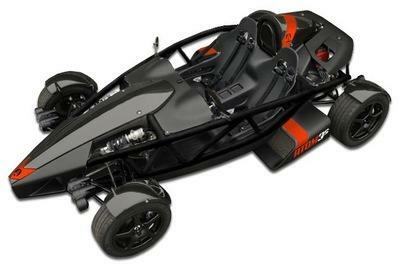 The revise RaceActive Chassis Control suspension not only enables the driver to brake and turn into corners later, but also hit the gas pedal earlier than in a P1. That’s due to the extra available downforce and the balanced aerodynamics. 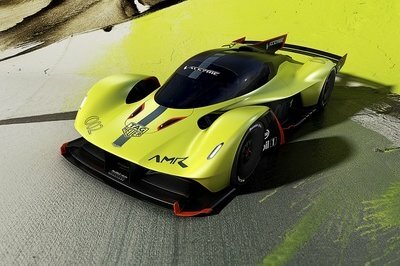 It’s all true, and it looks as if Ayrton Senna himself helped design it. Now that the Detroit Auto Show is safely in our rearview mirrors, we can now go back to our regularly scheduled programming. To mark our return to the real world, McLaren threw itself a little housewarming party after the opening of its Carbon Composites Technology Centre in the UK. The special guest-of-honor was none other than the McLaren Senna, and in true form, the Senna did more than just show up and wave to the gathered masses, it actually performed a series of donuts in the company of a 1989 McLaren Formula One race car, the same car that was driven by Ayrton Senna, for which the car was named after. The Senna’s presence inside the Carbon Composites Technology Centre wasn’t by accident, but a choreographed event by McLaren to use the supercar to leave a trail of fresh Pirelli tire rubber on the center’s new floor. 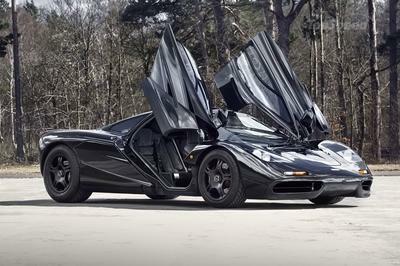 It was, in the automaker’s words, a way to “christen it — McLaren style.” The company even recorded part of the Senna’s performance on video, and it is as glorious as it sounds. To be clear, the Carbon Composites Technology Centre isn’t open yet. Nevertheless, the doors were opened to a select group of attendees with the intention of showing what the place will look like once it’s fully operational. For those who don’t know, the center will serve as ground zero for McLaren’s future carbon fiber tubs. This will be the place where they’ll be built beginning in 2019. But that’s a story for another time. 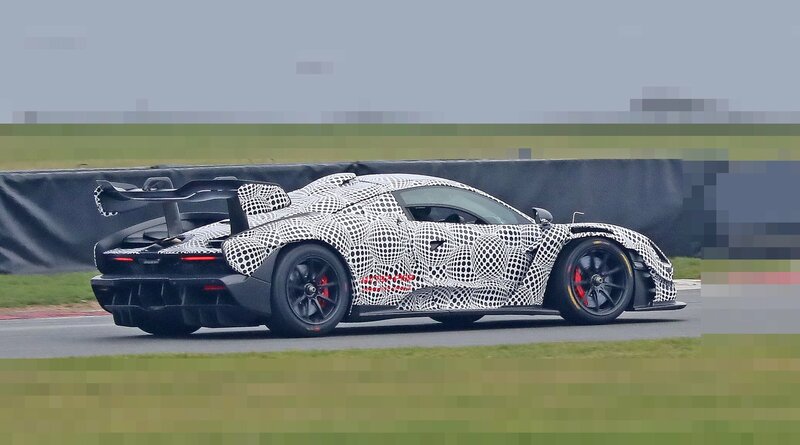 For now, check out the McLaren Senna getting its first public workout. 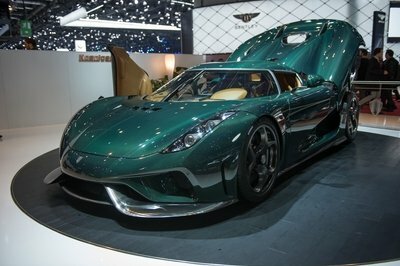 By the looks of it, the supercar is all set to unleash its wrath into the world. 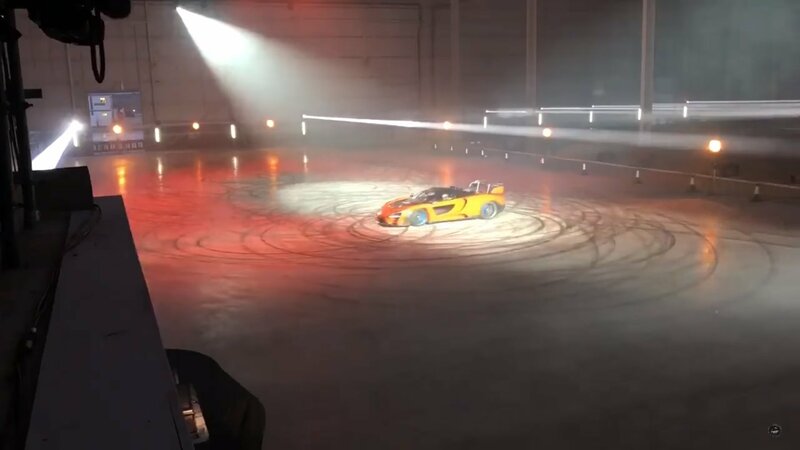 FIRST Video of The Mclaren Senna Driving and DOING DONUTS! A successful race car builder from the 1960s to the 1980s, McLaren began making a name for itself as a road car manufacturer in the early 1990s with the F1. Launched with many benchmarks, including the first carbon-fiber construction, the F1 became one of the most iconic supercars ever made. It was so great that it took McLaren 15 years to gives us a predecessor, the P1, introduced at the 2013 Geneva Motor Show. 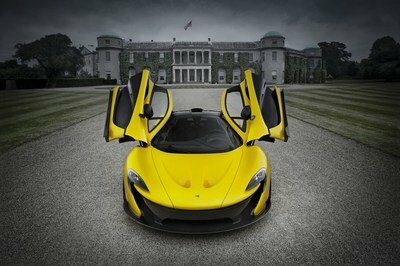 Four years have passed, and the McLaren Ultimate Series is entering a new era with a brand-new supercar. 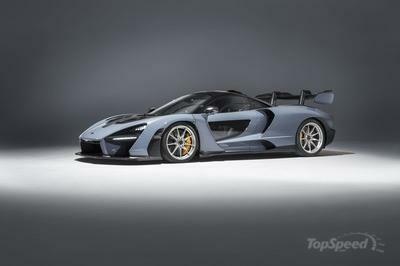 Codenamed the P15 and in the rumor mill for a couple of years now, the McLaren Senna was unveiled on December 9, 2017, as the company’s ultimate road-legal race car. 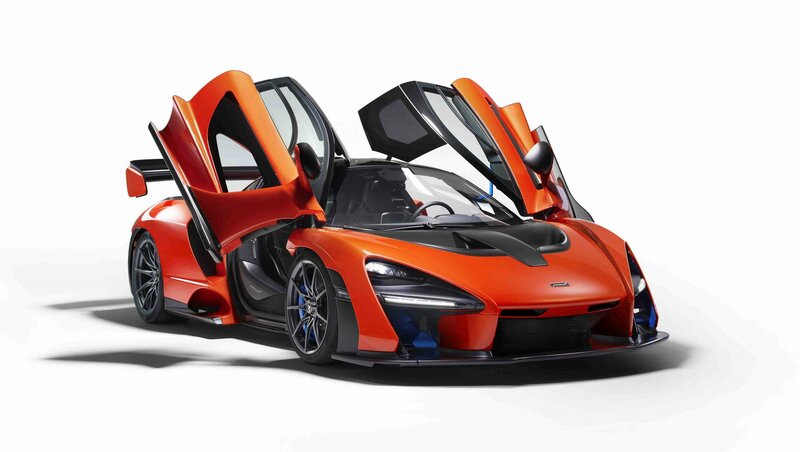 A unique design that brings together styling cues from the P1, 720S, and new aerodynamic features, the Senna bears the name of F1 driver Ayrton Senna, who drove McLaren Formula One cars for six years, from 1988 to 1993. While the Senna’s aggressive design and aerodynamics aren’t surprising, the fact that it’s not a hybrid comes as a bit of shock. With its predecessor sporting an electric motor, the new Ultimate Series was expected to have a similar layout. The same goes for the interior, which has a standard left-hand-drive configuration, despite prototypes that have a mid-mounted driver’s seat, like the old F1. 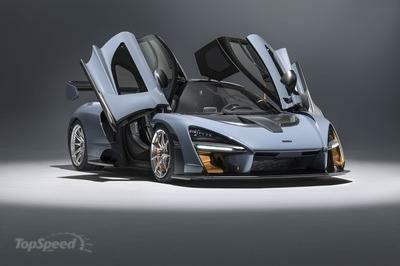 But this doesn’t make the Senna a less spectacular supercar. On the contrary! Update 8/27/2018: The McLaren Senna may be something of a unicorn to most of the world but we finally managed to catch up with it in the metal at Monterey Car Week 2018. Check out our video and all-new images below.